As our regular readers know, we rarely write about isolated, fractionated nutrients, especially vitamins and minerals. We favor instead the essential synergy of thousands of phytonutrients that function together in whole foods. This article about magnesium is a notable exception for some very interesting reasons. 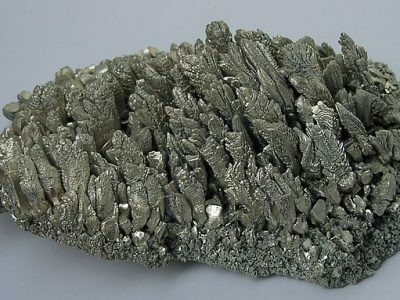 Magnesium is a metal that is found abundantly on earth and is used in a variety of household items as well as photography, airplane construction, and fireworks. It wasn’t until the 1930s that magnesium was found to be a mineral essential to our health. This element is crucial for a variety of cellular reactions and metabolic processes, and works in tandem with calcium for bone development and maintenance. According to Webmd.com, “magnesium is an important electrolyte needed for proper muscle, nerve, and enzyme function. It also helps the body use energy and is needed to move other electrolytes into and out of cells. Low magnesium levels (hypomagnesemia) can cause a variety of health issues, such as acute coronary events, asthma, and other critical illnesses, as well as higher mortality risk. The good news is that raising your magnesium levels can help reduce the risk of mortality from stroke, cardiovascular disease, and sudden cardiac events. Serum magnesium levels have also been found to be a predictor for your relative risk of getting type 2 diabetes and metabolic syndrome. Even depression and stress, cornerstones of modern American life, respond to magnesium supplementation. A clinical study contrasting the effects of magnesium (450 mg daily) against a popular anti-depressant drug found that magnesium was as effective in treating depression as the medication. 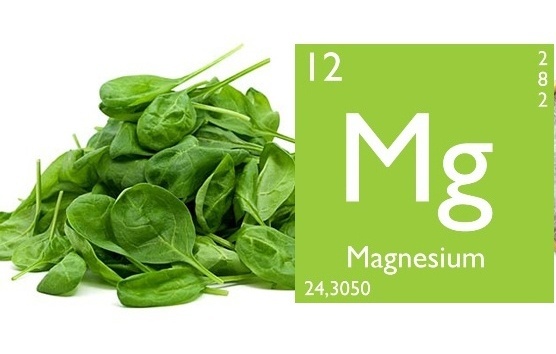 Of course, most important to readers of the BeatCancer blog is the connection between magnesium and cancer. Research into the effects of magnesium on cancer has been ongoing since the 1960s using animal studies, which showed that magnesium-deficient rats develop tumors of the thymus – an organ of the immune system that helps the body fight infection and is important in T-cell immunity. Furthermore, a meta-analysis study established that higher intakes of magnesium correlated with lower risk of colorectal cancer (probably in part due to its efficiency in moving stool through the colon). A systematic review by the International Society for the Development of Research on Magnesium found that magnesium deficiency can lead to the initiation and proliferation of cancer, as well as hinder treatment. This association is easy to understand: Magnesium plays a role in over 300 biochemical reactions, affects the stabilization of cell membranes, and protects cells from heavy metals, such as mercury and lead. Cells will wither and die without adequate magnesium.17 Low magnesium will negatively affect permeability of the cell, and several studies have suggested that this can initiate carcinogenesis. A study published in the year 2000 found that almost half of cancer patients admitted to the intensive care unit (ICU) had low magnesium levels. Magnesium deficiency may have contributed to their disease, but it may in fact also be due to their cancer treatment. Cisplatin, a platinum-based chemotherapy drug used to treat various types of cancer, can cause a number of serious side effects, including magnesium deficiency in up to 90% of patients. The results of a 2008 study indicate that prophylactic (preventive) magnesium supplementation can prevent these side effects and decrease the severity of cisplatin-induced kidney damage without interfering with the anticancer effect of the drug. In fact, among cisplatin-treated cancer patients, those given magnesium had significantly slower disease progression and longer survival times, when compared with patients given a placebo. The four-year survival rate was 63% in the magnesium group and 36% in the placebo group. Furthermore, some chemotherapies (and many pain medications) can cause constipation. Magnesium, nature’s natural laxative, from 200-1000 mg daily, in divided doses, has been shown to be very effective. Even so-called “healthy” people may be magnesium-deficient. The current US recommended daily amount (RDA) for magnesium is 310 mg for females and 400+ mg for males. Unfortunately, only 32% of the American population meets the RDA, and RDA levels themselves are often suboptimal. How did we get ourselves into such a state? For one, our Standard American Diet (aptly abbreviated as SAD) is pretty terrible. Consisting mainly of sugary, highly processed junk food, red meat, and alcohol, the SAD diet is often lacking in the best food sources for magnesium — green leafy vegetables, whole grains, fruits, fish, nuts, and legumes. Food processing wipes out magnesium. Furthermore, the body requires relatively massive amounts of magnesium to process these “foods,” and if you’re already deficient or borderline normal…well, I feel “sad” just talking about it. In addition, the plethora of drugs we take — such as diuretics, hypertension pills, antibiotics, and many others — deplete serum magnesium. More importantly, our soil is depleted of magnesium. Years of pesticide, herbicide, and fertilizer use have diminished magnesium in the soil, so that plants no longer have much of the mineral to absorb from the ground. This exhaustion of the soil and reduction of minerals in our food has been a concern of Congress since the 1930s, but the problem has gotten worse, not better. Before starting any supplementation regimen or diet change, ask your doctor to check your serum magnesium levels, and then adjust accordingly. There are many different magnesium supplements on the market, and some are better than others. However, it is always better to get the necessary vitamins and minerals from food rather than supplementation — particularly magnesium, as the isolated mineral has a laxative side effect at high doses28 and is not easily utilized without the essential synergists that whole foods provide. 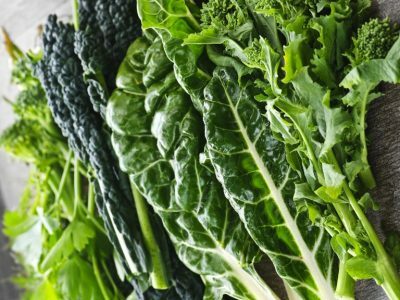 Consuming dark leafy organic greens (spinach, collard greens, and kale, for example) is one of the best ways to get magnesium into our bodies. Consuming them raw, such as in a salad, will preserve the magnesium in the greens. Buying organic is important: Organic foods are not as widely subjected to commercial fertilizers and synthetic pesticides that will strip the soil of magnesium. Furthermore, organic soils are often higher in minerals because of composting techniques. Organic raw (unprocessed/unroasted) nuts and seeds are an easy way to add magnesium to the diet. Pumpkin seeds, almonds, brazil nuts, and flaxseed are a few of the many different nuts and seeds that are packed with magnesium. National Oceanic and Atmospheric Administration (NOAA)-approved fish is an all around great choice to add magnesium to the diet. Not only are sustainable fish such as halibut, wild salmon, and mackerel high in magnesium, but they also contain omega-3 fatty acids and vitamin D, two other common nutrient deficiencies. Sugar and processed foods rob your body of magnesium. Try replacing sugary sodas with lemon-infused water, or swapping dark chocolate (also high in magnesium!) for that junk candy bar. If you find that your diet is awfully SAD, changing it will have profound effects on your magnesium levels. Little positive changes will add up over time to increased magnesium levels and reduced risk of a plethora of chronic diseases, including cancer.